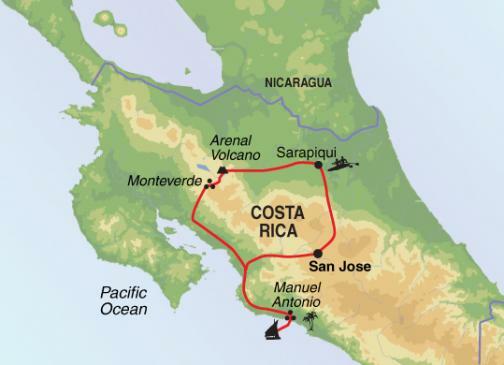 Active Costa Rica – The Great Canadian Travel Co.
From rumbling volcanoes to sweeping, sandy beaches, Costa Rica’s beauty is evident in every corner. On this action-packed adventure try grade III whitewater rafting, bike around Lake Arenal and go zip-lining through the misty cloud forest of Monteverde. Arrive into San Jose anytime time this morning or afternoon. This evening is the perfect opportunity to meet your guide and get to know your fellow travellers. Heading northeast of San José you will swap the capital for the Sarapiqui region, an area blessed with abundant vegetation and the beautiful Sarapiqui River. This area is gathering a reputation as a great spot for adventure seekers! 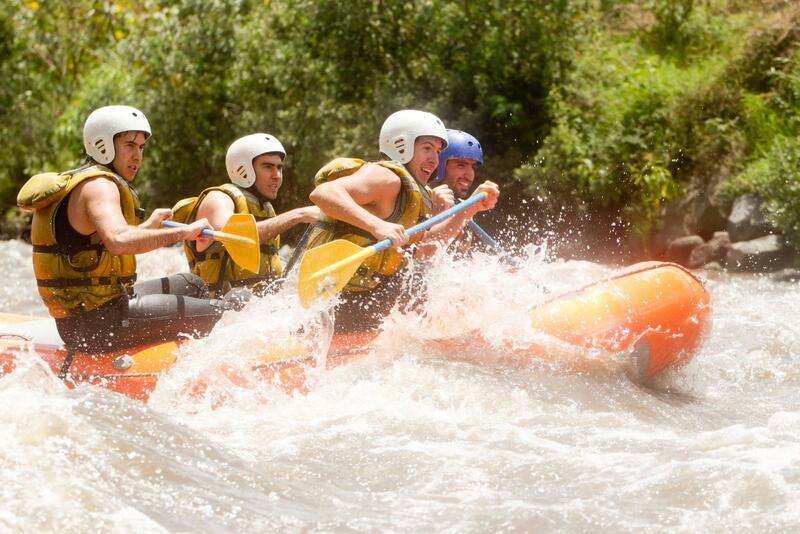 You will board 6-person rafts and set off for a 1/2 day white water rafting excursion on grade II and III rapids. Starting at a section of the river called La Virgen, travel 11km through exhilarating rapids and clear pools, with rainforest towering over the river banks at either side. There will be a short stop for seasonal fruits and plenty of time for a refreshing swim in one of the calm sections of the river. 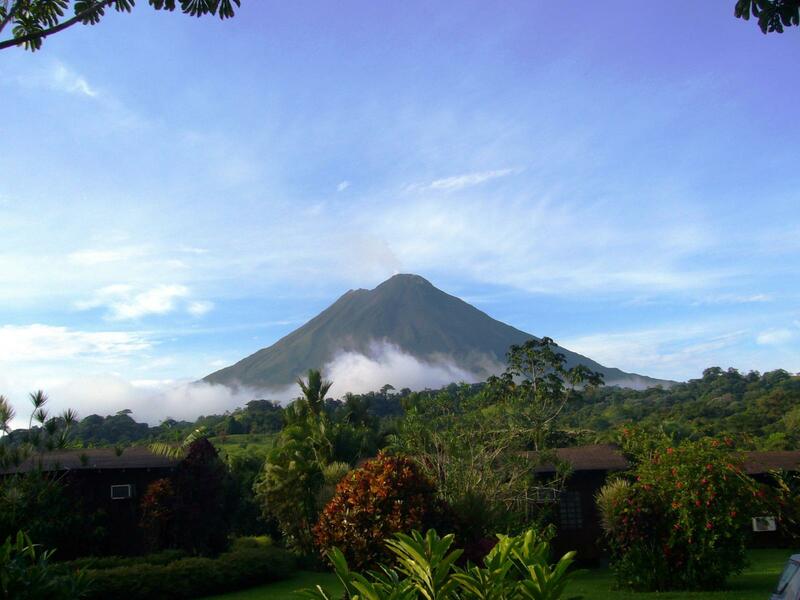 After lunch, you will be transferred for around 3 hours to the area surrounding Arenal Volcano. Following a massive eruption in 1968, Arenal was Costa Rica’s most active volcano until recently when it entered a resting phase. As well as the volcano, this region has plenty to offer, with thermal waters, waterfalls and Lake Arenal waiting to be discovered. 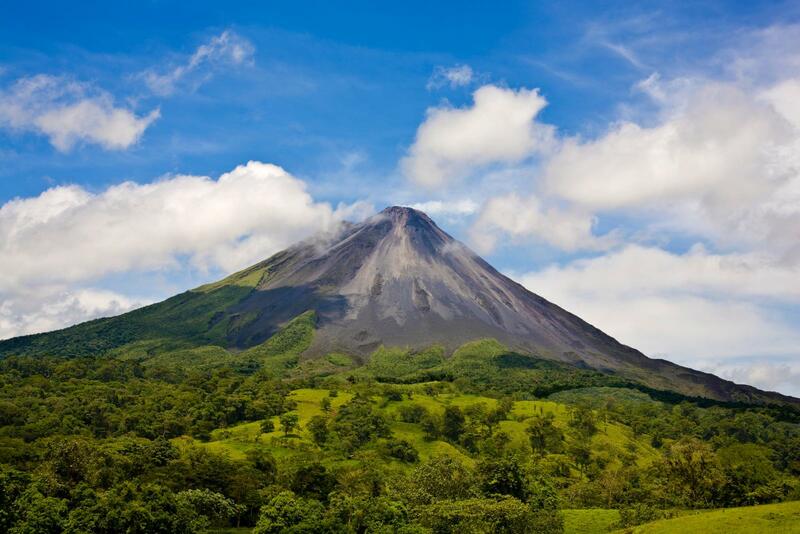 There is a guided hike this morning through Arenal Volcano National Park. The park has a great system of trails passing through secondary forest and near lava fields created by previous eruptions. In the afternoon you will visit a local organic farm located at the foot of Arenal Volcano, where lunch is provided for you and you can learn how sugar cane and other crops are produced. In the late afternoon you will visit Ecotermales Hot Springs as a group to enjoy a hot thermal bath from the volcanic spring water, a refreshing end to the day. Following yesterday’s thermal bath your muscles should be ready for today’s mountain bike ride around Lake Arenal! Gear yourself up for a moderate ride this morning, mostly following quiet country roads and gravel trails that border the Arenal Volcano National Park. 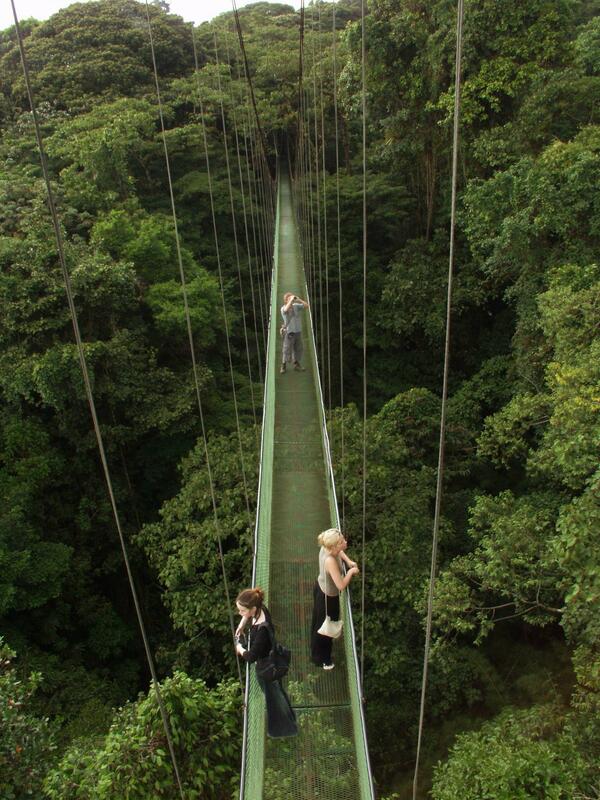 There are stunning views and travelling by bike is a great way to discover the beauty of the rainforest. Upon request, the tour can end at a different hotsprings nearby (entrance fee not included). The rest of the afternoon is free to sign up for an optional activity, such as the Sky Walk (canopy walk), Sky Trek (zip wire), kayaking tour or the Hanging Bridges excursion. From the northern lowlands you will travel through the Tilaran mountains to reach the cloud forest, passing breathtaking views of the Gulf of Nicoya and the islands below as you ascend the hills to Monteverde. The road climbs to this forest-cloaked region whose name literally means ‘Green Mountain’. Today’s drive is about three and half hours, on some bumpy roads. 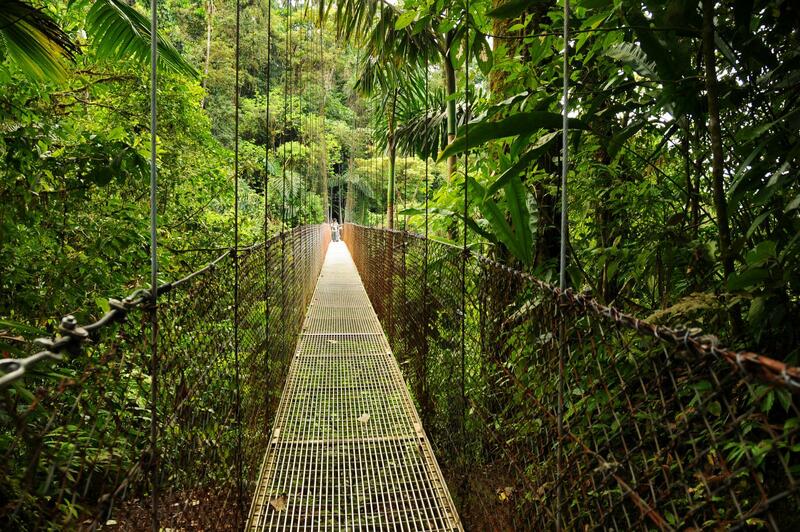 Monteverde is your location for the next two nights – you’ll notice a real difference in the climate of this area; gone is the humidity of the lowlands and in its place is a cool mist, a steady stream of clouds and a much cooler average temperate, given the altitude of 1,440m. 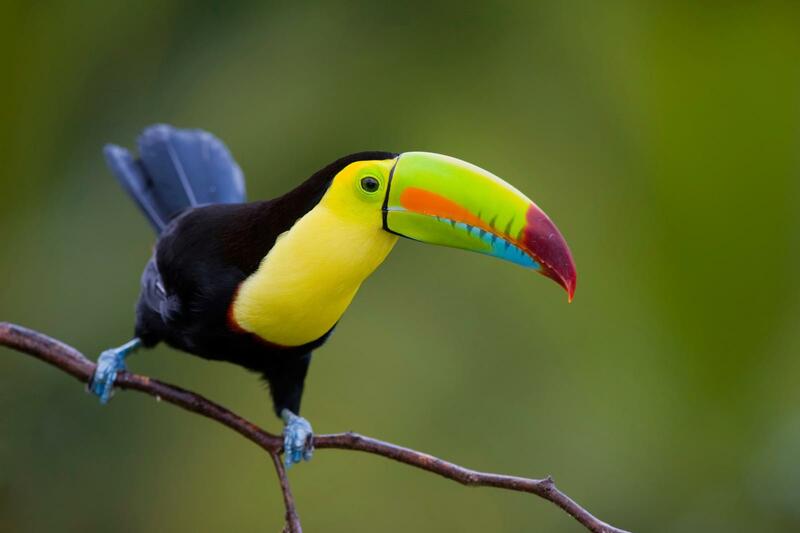 In the afternoon, you take a walk around the Monteverde Cloud Forest Biological Reserve, an area chosen as one of Costa Rica’s ‘Seven Wonders’ for its incredible biodiversity. The moisture in the cloud forest supports a fantastic array of plantlife, with ferns and moss growing on every available tree trunk. Hundreds of mammals, birds, butterflies, reptiles and amphibians live in this habitat and you should discover a number of them today. This morning you will get a completely new perspective on the cloud forest by taking a zip-lining excursion through the forest canopy. 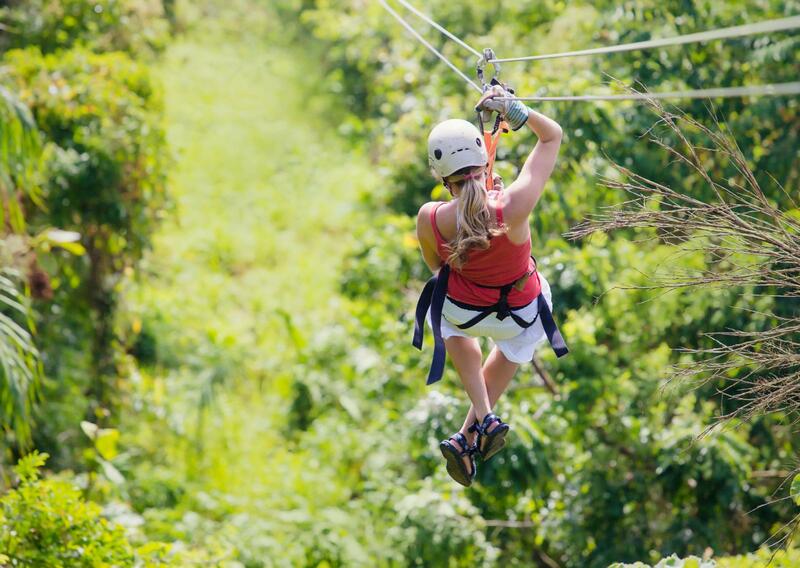 Before you fly down the zip-lines, guides will teach you the proper technique, including how to position yourself and hold the cable correctly, enabling you to safely embark on this adrenaline pumping adventure through the trees. The afternoon it’s possible to join an optional excursion to the Don Juan estate to learn about the process of making coffee. 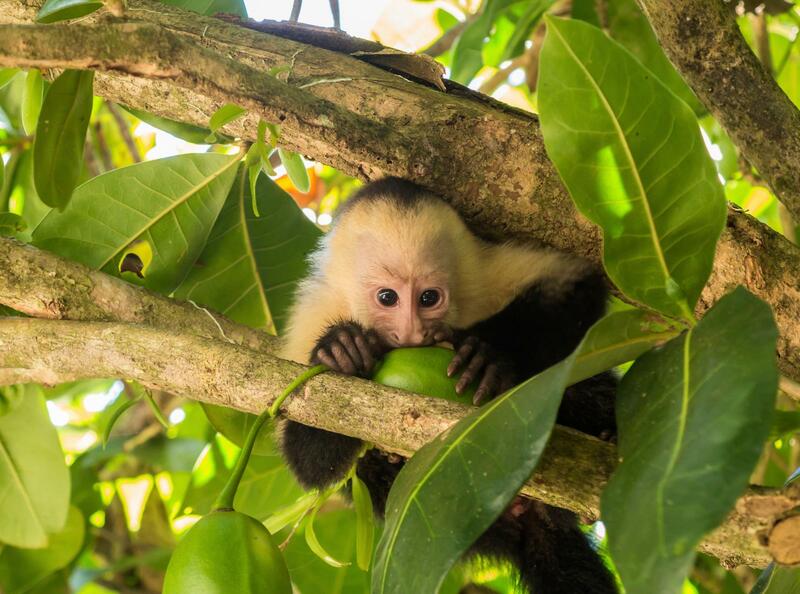 You will travel southeast along the coast, following the Pan-Am Highway and passing plantations of African oil palms and teak to reach your next destination, Manuel Antonio. 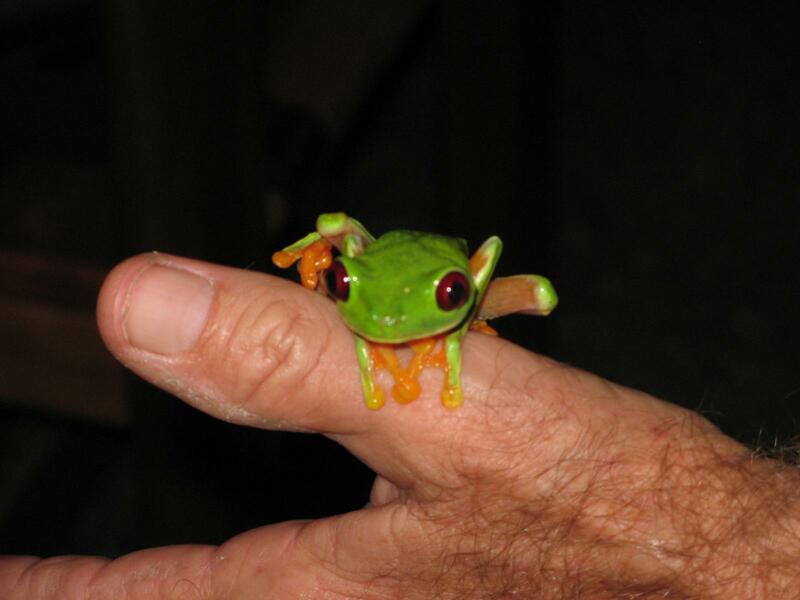 It takes around 4 hours to reach Manuel Antonio. The national park is a beautiful spot where the forest meets the sea and iguanas and White-faced monkeys can often be seen on the beach. Entrance into the park is included in your activities tomorrow, but this afternoon there will be some free time to visit the beach or join one of the optional activities available, such as sea kayaking, horse riding or a mangrove boat tour. This morning you will take a guided walk in the park to reach one of the higher elevations for incredible coastal views of dramatic rocky headlands. Inside the park you may see monkeys (White-faced, Squirrel and Howler), iguana, sloths and agouti. Most of the walking trails lead to beautiful beaches within the national park. 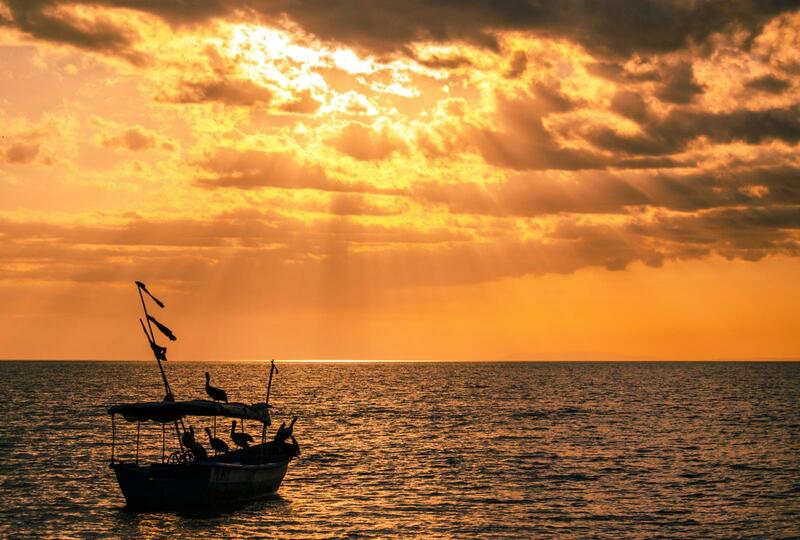 This afternoon you set sail on a catamaran excursion to discover the coastline of Manuel Antonio. The catamaran charts a picturesque course, starting in Quepos and navigating around the back of Manuel Antonio National Park, passing islands, cliffs and rock formations. There are a number of nesting grounds for birds and marine wildlife here as well as plentiful vegetation. After navigating the coastline you will sail to Bisanz beach, where you can don a mask and snorkel to discover the underwater world (parrotfish, angelfish and starfish might be seen). If you are lucky, you may even spot dolphins in the water. Please note that water visibility varies depending on the season and the snorkeling activity is weather permitting. Drinks and snacks are available on board and an early dinner will be served as part of the trip. A four hour journey takes you back to San José. You may choose to stay a night or two here or opt to fly home today. This is an active trip, you must be moderately fit. Some previous experience is required for most activity based trips.